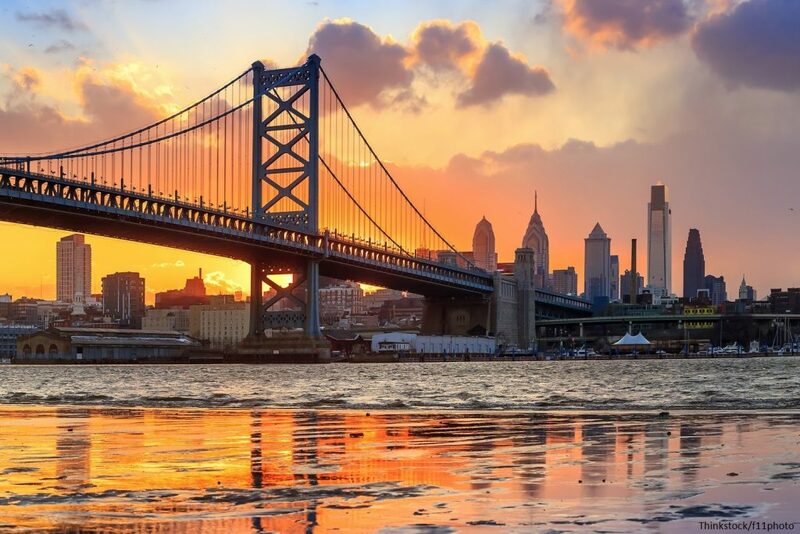 Known for its passionate sports fans and delicious cheesesteaks, Philadelphia, Pennsylvania is a great place to live. The city has roughly 1.5 million residents and hundreds of famous landmarks, from Independence Hall to the Philadelphia Museum of Art. There’s plenty to do and see, but sometimes it’s nice to have a chance of scenery. 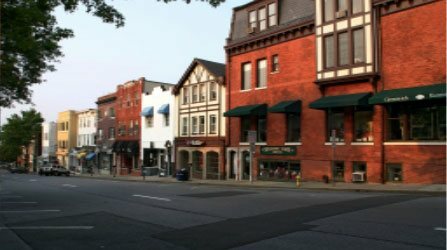 If you’re searching for the best weekend getaways near Philadelphia, look no further than the beautiful city of Greenwich, Connecticut! Before packing your bags for one of the best weekend getaways near Philadelphia, be sure to get to know the area a little. Here in Greenwich, visitors can see live shows, explore breathtaking scenery, or simply curl up with a good book! Whatever your reason for planning a visit, be sure to download our free Greenwich Vacation Guide for a complete list of our favorite things to do in the area. It’s the area’s best resource for planning an unforgettable New England escape! Planning a trip with the one you love? You’re in luck! Stanton House Inn in Greenwich is perfect for traveling couples. 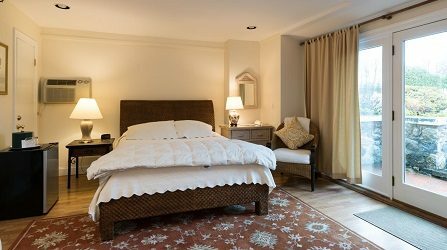 Each room at this historic bed and breakfast features a private bath, daily housekeeping, concierge services, and complimentary breakfast. Some rooms even have luxurious extras like fireplaces and hot tubs. 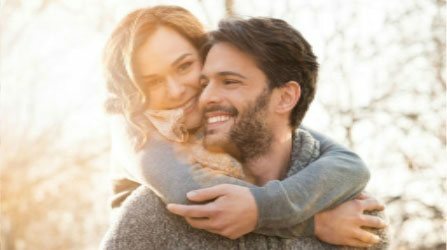 Surprising that special someone with a getaway is an ideal way to celebrate together! The Stanton House Inn romance package includes a champagne split and chocolate-dipped strawberries. It’s the perfect way to ignite that spark! Another great way to enhance your romantic getaway is to visit one of the many spas in Greenwich, CT. Treatments like facials, body wraps, and couples massages will help you relax and unwind during your stay. If you’re traveling with the kids, our beautiful town is a great place to explore. Stanton House Inn is just minutes from many family activities in CT including the Beardsley Zoo, the Maritime Aquarium, and the Stamford Museum. We are also close to plenty of parks and outdoor recreation sites. Be sure to stop by the Sports Center of Connecticut, where you’ll find an 18-hole mini golf course, laser tag arena, interactive bowling alley, arcade, and baseball batting cages. They even have a double-decker ice skating arena, the only rink of its kind in the world! Greenwich is a town steeped in history. Visit the Bush-Holley House, the site of the first art colony in Connecticut, and tour the historic buildings and beautiful gardens. Or, spend a day at Putnam Cottage and learn how Revolutionary War General Israel Putnam escaped the British. You can even explore local history right here at Stanton House Inn! 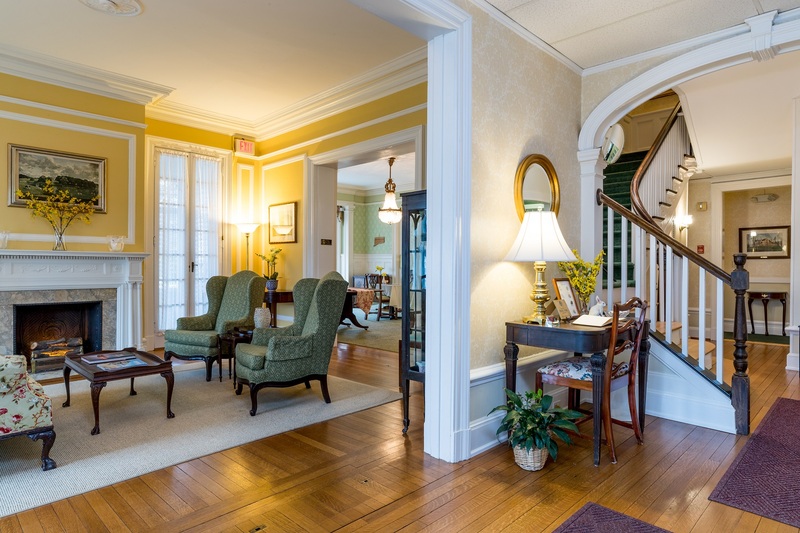 Our inn was built in 1840 has a fascinating past that’s just waiting to be discovered. Head to our history page to learn more. Stay Close to All of the Best Greenwich Attractions! Now that you know how to plan the best weekend getaways near Philadelphia, it’s time to pack up the car and hit the road! Located less than three hours from the city, our Greenwich bed and breakfast provides a peaceful retreat for families, friends, or couples. Whether you’re planning a proposal, anniversary trip, or a fun vacation with the kids, we promise that your getaway to New England will be one for the books. The Brush Suite, one of our most popular accommodations, is the perfect place to stay for every kind of traveler! This airy and vibrant suite boasts premium amenities like a kitchenette with refrigerator and microwave, king bed, and sitting area with Electra-flame fireplace. There’s even a luxurious clawfoot bathtub where you can enjoy a bubble bath at the end of the day! Ready for an unforgettable weekend getaway near Philadelphia? Check our availability today and start looking forward to your trip! We can’t wait to host you in gorgeous Greenwich.